Through the end of the year, the NKJV Study Bible (Bonded Leather) is available from the Gospel Advocate online store for only $55.99 (Reg $74.99). No promo code is needed for this special holiday season pricing. 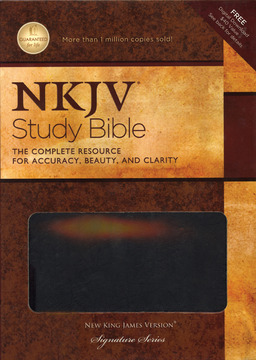 The NKJV Study Bible (Bonded Leather) has over 15,000 verse by verse study notes, 350 word studies with Strong’s numbers, maps and charts. It also includes book introductions, outlines, timelines and a harmony of the Gospels.